After incineration cremation, human ashes can weigh 3 - 5 pounds depending on bone density. Presently, "the physical state of cremation ash is predominately bone tissue in granular form, much like sand or a finely ground gravel. The composition is predominately calcium and phosphorus in the form of a highly stable compound known as rock phosphate (Ca3(PO4)2). All of the liquid and nitrogenous material escapes to the atmosphere in the high heat of cremation." Cremated remains are processed at such high temperatures that it makes them insoluble, so they are not in a transferable energy form that can be absorbed by plants. When families plant a loved ones cremated ashes under a tree, or sprinkle the remains in a backyard garden, the intentions are for the remains to provide nourishment for the local plants and wildlife, theoretically releasing energy back into the natural cycle of life. Sadly, this is a misconception as cremated ashes from incineration, are not in a transferable energy form. 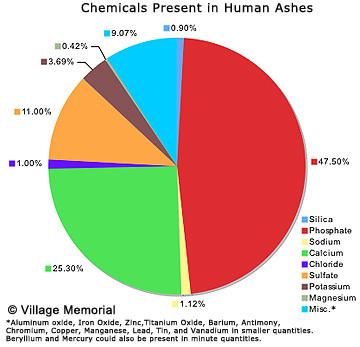 Ashes pose no threat to health or to the environment. In fact, cremated remains from hydro cremation are 100% sterile completely neutralized disease and pathogen free. The disposal of human ashes in rivers or streams has not been proven to negatively impact the environment. Ash scattering ceremonies do not require EPA (Environmental Protection Agency) approval. If you want to be cremated, which would you choose: hydro cremation or incineration cremation? After cremation, do you wish to be put back into the cycle of life via scattering? More families are scattering their loved one's ashes/cremated remains. Some may leave a little ash behind each time they make a trip or perhaps leave all of the ashes at one specific site of great meaning to their beloved. Here are some popular destinations where family and friends have traveled to scatter the ashes or cremated remains of a loved one. A woman travels the globe, "spreading her husband's ashes in more than 20 places. A growing number of people are opting to cremate their loved ones in order to scatter their ashes -- a way of prolonging their goodbyes." Walt Disney's theme park Disneyland, in Anaheim, California has shut down the Pirates of the Caribbean ride several times when people have been spotted dumping ashes into the water. Another favorite spreading ground is the Haunted Mansion cemetery. An unknown male visitor stops at the Fairmont Hotel in San Francisco, CA and tells the doorman it was his father's favorite hotel and "dream to be buried" there. The man then handed doorman a $100 tip to "take a little walk" while he "spread the ashes of his father along the hotel's flower beds", just off Mason and California Streets. The man said the Fairmont "was as close to heaven [as his father] ever got in this life." Brown, W. (2010). At the Fairmont, it was ashes to ashes, dust to. San Francisco Chronicle. A grandson and space fan sends grandmother's ashes up in a meteorological balloon at 100,000 ft into the stratosphere. 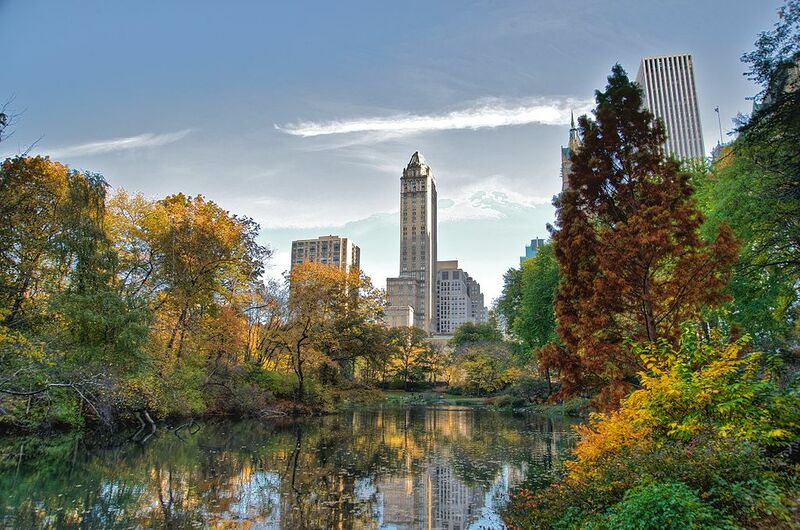 Celebrity, Alistair Cooke's family secretly scattered his ashes in Central Park, New York. Fearful that they'd be caught and stopped, they divided up the ashes into several paper cups. Then the group spread out and slowly dumped the ashes around as they walked through the park. In her book, "If I am Missing or Dead", author Janine Latus describes the ash scattering memorials held for her sister Amy. 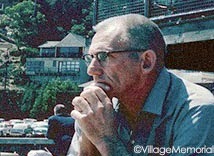 One is held at an outdoor chapel at a Michigan youth camp the Latus family attended as children. There they spoke about her favorite things, sang songs, and then spread her ashes into the cattails. (Her mother and father "had divvied up the ashes". Her father buried his share at a Catholic cemetery.) The next day the family drove to Lake Michigan, another favorite spot of Amy's, where the family held their third memorial for her. Each family member walked into the water waist deep, took a handful of ashes, and let them fall into the water, before they released all the remaining ashes. The family then played some of Amy's favorite games on in the water and flew kites in her memory. Wild Oats XI, the five-time line honors winner, scattered the ashes of Gary Ticehurs, the ABC helicopter pilot who died in August 2011 during the Sydney to Hobart yacht race. In her book, "You Can't Drink All Day If You Don't Start in the Morning", Celia Rivenbark reflects on a friends story after picking up her father's cremated remains in "A long time ago, I had a friend whose father died and was cremated. He loved two things in this world, she said: hot dogs and flying. So she put him in her carry-on, flew him to the Charlotte airport, bought a jumbo dog with mustard and relish, put his urn on the little round table, ate half the hot dog and one hour later, boarded the plane for the hour long flight home, her daddy stowed safely back in her carry-on. It was a great story, and walking along with the purple velvet box o' Daddy I thought I knew exactly how she felt sitting in that airport restaurant, toasting her dad with exactly one-half of a cold Bud Lite." Please share your ash scattering stories. Are there any special locations you recommend? Do you have any advice for others trying to decide on the best destination for their loved one's ashes? Today we remember our fallen soldiers, who died defending the freedoms that we Americans now enjoy. 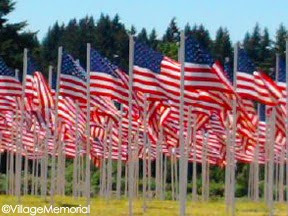 Below, we've shared some quotes from others about what Honor and Memorial Day means to them and Video Tour of Portland's own Willamette National Cemetery as they pay tribute to the nation's fallen on Memorial Day. Please share your thoughts. What does Memorial Day mean to you? How do you plan to honor the fallen who died defending our country today? The scattering of cremated remains is growing in popularity. Americans now choose more unique and personal ways to commemorate lost family and friends. The ritual of ash scattering allows families to prolong their goodbyes. Some may choose to leave a little ash behind each time they make a trip or perhaps empty an entire urn at one site of great meaning to the individual. Many families and friends are traveling across the globe to fulfill the last wishes or last request of a loved one. It's important to be fully prepared before you choose a location to scatter your loved one's cremated remains. First, decide how much or how little of the ashes you will be scattering. Some families prefer to hold a small portion to keep at home, while scattering the remainder of the ashes. Be aware that dumping anything into a body of water may be forbidden by environmental regulations. Check with the laws in your state. California requires a permit to scatter (see more details below). Sometimes the cremated remains/ashes will contain a small metal identification tag inside. Be sure to inspect the ashes and remove any ID tag prior to scattering. Plan to scatter early in the morning or late in the day to avoid large crowds of people. Plan to scatter low to the ground and downwind to avoid the cremated remains from blowing back towards you. California has the toughest laws on scattering requiring citizens to register the location of the scattering. California also licenses registered cremation "scattering agents" to operate scattering businesses. Criminal offenses relate to scattering ashes are misdemeanors, with a maximum punishment of six months in county jail and a $1,000 fine (which would be approximately doubled by various fees). This is the maximum, usually imposed only if the defendant refuses probation. If the District Attorney has taken the trouble to file a case, the minimum punishment he would probably seek would be probation for several years. Please share any tips that may help others scatter a loved one's ashes. 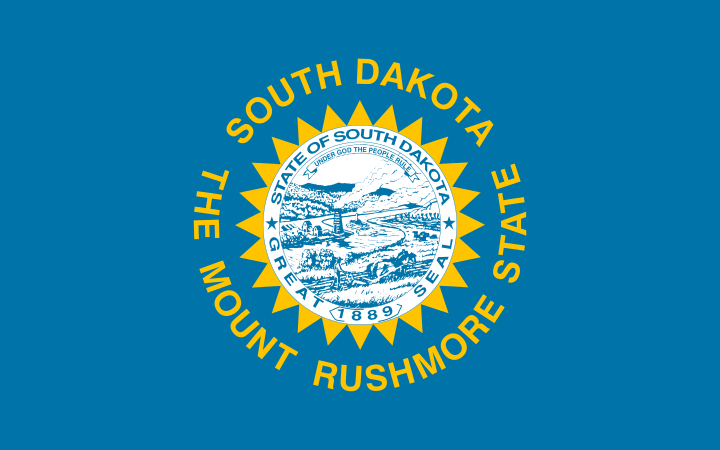 Are there unique laws on scattering that are specific to your state others should know about? Please share. At her grandmother's funeral in Japan, author Ruth Ozeki explains another Japanese custom called "hone wake" or "dividing the bones, which is often practiced when a person’s family lives in different places." On her return to the US from Japan, she brought with her some bones of her grandmother, which she was to deliver to her mother. The experience inspired her to film a documentary called "Halving the Bones". In the United States, if would be difficult to honor the true Japanese tradition of the hone wake, as most states require the pulverization of cremated remains after incineration. This process which is what gives cremated remains their ash-like appearances. Like the Japanese tradition, many American families also choose to share their loved one's cremated remains. Oftentimes, when there are multiple siblings, each sibling will receive a small portion of a parent's remains. These portions are usually kept in smaller urns, referred to as a "keepsake urns". Please share your thoughts on sharing a loved one's cremated remains. Do you or will you keep a small portion of a loved ones cremated remains? Why or why not? Or do you know someone who has a keepsake urn? Let's take a scientific look at the Alkaline Hydrolysis process. When we die, autolysis is the natural method of decomposition, just as food in the intestine is digested and transformed into nutrients by protease. Human bodies are 70% water and when buried under the earth we decompose, as the body compounds separate into simpler substances by action of microbial and/or autolytic enzymes. Lysosomes are organelles within cells that contain hydrolytic enzymes (lysozymes) that break down proteins and certain carbohydrates. This enzymatic action continues to occur after death. Hydro Cremation is the water reduction process, known scientifically as Alkaline Hydrolysis. The hydro cremation process uses water instead of fire. Hydrolysis is a process of breaking apart with an enzyme. The addition of water into a chemical bond with the help of enzymes leads to cleavage. The Alkaline hydrolysis process has been used worldwide in laboratory and research applications. It is a fully automated process of pressure, high temperature, and alkalinity to accelerate the natural process of tissue hydrolysis decomposition by using a strong alkali (pH 14) to solubilize and hydrolyze tissue, expedited by heat at 150°C in a pressurized vessel. The integral load cells weigh the body and the appropriate amount of water and alkali are added automatically to the vessel. The vessel is quickly heated via steam to around 150°C (~300°F) and the body is resolved to its component elements. The entire process is complete in 2-3 hours. This process generates a solution of amino acids, peptides, sugars, and soap (salts of fatty acids) that is suitable and safe for release into the environment. The process is environmentally friendly because it does not generate air pollution and the embalming fluid is neutralized into a harmless chemical compound. It incurs 20 times less CO2 emissions vs. average cremation. It is energy efficient, using 1/10th the energy per body versus cremation. It allows possible salvage of surgically-inserted foreign items in the body, like pacemakers, replacement joints and pins, which remain sterile and intact for recovery and possible re-use. It is projected that within 5 years hundreds of machines will be in use in California, Oregon, and Washington. By mimicking a body’s natural chemical process of decomposition, it breaks down the human chemical makeup of 65% Oxygen, 18% Carbon, 10% Hydrogen, 3% Nitrogen, 1.5% Calcium, 1% Phosphorus and 1.5% total of remaining additional elements, reducing CO2 emissions in the process. A body is placed into the Aquapyre, hydrocremation unit. The vessel is filled with an alkali solution of 95 percent water with 5 percent potassium hydroxide. The solution and flow reduces the remains into amino acids, small peptides, sugars, nutrients, and soapy lather. After rinsing, drying and processing, a pure white ash is returned to the family. Far less energy used than in traditional cremation. Cleaner - No emitting of toxins or dioxins into the atmosphere. Less carbon dioxide production than incineration cremation. The bone ash (Calcium Phosphate) are 100% sterile completely neutralized disease and pathogen free. Did You Know About Water Burial in Tibet? In Tibet, "Water Burial" is practiced. This is where bodies are placed in lakes to decompose naturally. The alkaline hydrolysis process is essentially the same type of disposition with the exception of the length of time it takes for the body to be reduced to ash. Please share your thoughts on the Hydro Cremation. Will you choose hydro cremation? Why or why not? Find out who owns/manages the cemetery you have chosen. 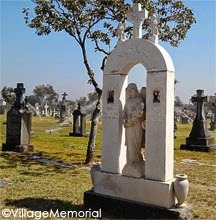 Learn what cemetery district you are in and contact your local municipalities to obtain permission to volunteer your time. 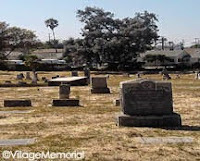 Many historic pioneer cemeteries are out of perpetual care funding and are unable to afford to maintain their sites. Your request to volunteer, will often be welcomed with gratitude. Cemetery maintenance is a time consuming. What is most important is that you feel good about your work. Try to have fun, and pace yourself. It's better to do a little bit of rewarding work each week than to burn yourself out doing in a marathon weekend of drudgery. Do not clean near mourners who are visiting or while nearby a funeral taking place. Do not leave waste behind. Do not bring pets to roam freely on site while you work. Do not move or remove fresh flowers or recently placed tributes from grave sites. Many private cemeteries require the use of granite for monuments, but for those who allow marble monuments and headstones, it's best to request a "honed finish" rather than a "polished finish". The matte surface of the "honed finish" is helpful in hiding acid etching. Additionally, the denser the marble the lower its absorption rate, making it more resistant to wear. White marbles are some of the most resistant, and the best come from Carrara, Italy and Danby, Vermont. Because of age and wear on cemetery headstones, one must take the utmost care when cleaning, mending, or resetting headstones. If a monument is falling apart, appears brittle, or it’s surface seems especially delicate to you, we recommend that you DO NOT handle the artifact as it may be unintentionally damaged in the process. In such cases, it is always best to leave these restorations to professionals. Do bring supplies: Large bucket, Natural Bristle Brushes of various sizes, Water, Colorless Non-ionic soap, (Liquid or paste), A wooden scraper, Gardeners pumping water sprayer, Apron, Dust mask, Ammonia (For cleaning marble or limestone – One tablespoon of ammonia can be mixed into your solution to remove grease and oil.) Don't expect every stone to come completely clean. Vigorous scrubbing can damage your artifact as every cleaning removes some surface material from the memorial stone. It is always better to maintain the integrity of the material over achieving an immaculate finish. Do thoroughly wash off the stone with water, keeping it wet throughout the entire cleaning process. Don't clean wooden headstones. Do mix a bucket of non-ionic soap. Don't use flammable or corrosive materials for cleaning. Do use a natural bristle brush to thoroughly wash off all faces of the monument working from the top down. Don't use bleach to clean as it may stain monuments. Do use lots of water and keep the stone wet through the entire washing process. Don't sand or scrape with files or wire brushes. Do use a wooden scraper to remove algae/lichens and other harmful growth. Don't use ammonia to clean metal or bronze surfaces. Do consider sodding and seeding Don't use high pressure hoses, sand blasters or abrasive chemicals to clean monuments or graffiti. Do consider wearing headphones. Don't clean a monument more than once annually with the exception of lightly rinsing away dust and bird droppings. Do keep away from active dig areas. Don't move or remove fresh flowers or recently placed tributes from gravesites. Vandalism – Report recent vandalism/graffiti to cemetery management and police department. Graffiti Restoration – Because the most common tool for removing spray paint from surfaces is a pressure washer with a mixture of sand and water, we do not recommend it for tombstone cleaning. In cases of tagging we recommend you seek the help of a professional. Spraying for insects – We do not recommend that you take it upon yourself to spray any kind of pesticides while working on site. Always avoid wasps nests and beehives. Mausoleum flies and other pests should be dealt with by professionals. 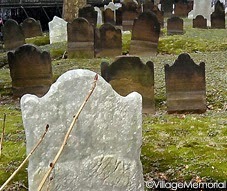 Have you cleaned cemetery headstones or grave markers? What advice can you share with others for safe cleaning? If a contemporary cemetery has been chosen for the burial, a concrete grave liner or burial vault is usually required by the cemetery. Most cemeteries require this because it keeps the ground level, which makes the land easier to maintain (mow), as well as safer for the families and visitors who walk through the cemetery. When religious or environmental beliefs require the body to touch the earth, many cemeteries choose to accommodate this request by flipping the burial vault upside down and leaving it uncapped so that the body or the bottom of the casket is laid directly on the soil. Note: In this instance you must still purchase the entire vault, but most cemeteries do not charge to flip the vault for you. This option satisfies the requirements of the cemetery, as well as religious objections and/or environmental beliefs. (See image B at right. Note: grave liner, indicated in red, is open at bottom). Green burial (or natural burial) grounds do not use containers. This provides a more direct return to the soil. (See image C left. In this instance, a burial shroud is often used). Green Burial Grounds often use indigenous rock or planting a shrub as a markers. These lands are preserved and function as parks for life to thrive. While the graves disappear into the landscape. Locations are noted with Global Positioning System coordinates. (GIS) also helps pinpoint your loved one's final resting place. Please share your thoughts on burial. Would you prefer cemetery burial or green burial? What advice can you share with others? The most important element of a funeral is The Ethical Will. An Ethical Will is, “A document in which a dying person states his or her legacy to the family. It is a statement of the individual’s hopes and dreams for his or her family, the values which he or she would like to pass on and any other thoughts or messages which the individual would like his or her family to remember.” Irish (1993) Its religious origins trace back to the Hebrew bible where it was first described more than 3000 years ago, and in the Christian Bible (John Ch. 15 – 18). Some cultural universals found in the funeral rite are in the storytelling aspects of ceremony. We make mention of family history reminding each other of the awesome qualities and peak experiences we shared as well as important events that took place. We come to terms with regrets and share items that articulate our feelings with those taking part. The Ethical Will allows us to address these issues while we are still alive. It is a method of passing the torch. We share our hopes, aspirations and legacy of values with our loved ones and hope that our wishes will be realized through them. In this way, the Ethical Will serves as a method of enculturation. The Ethical Will is a tool for empowering our descendants. As a funeral rite, cultural norms include the passing on of wisdom, family traditions and records. We narrate pictures and teach one another about our roles. These blessings, personal values, and beliefs communicate love. It is a time of reconciliation and forgiveness. The Living Funeral focuses on a proactive message such as things we are grateful for, things we learned from experience, and things that served us well in guiding our actions. 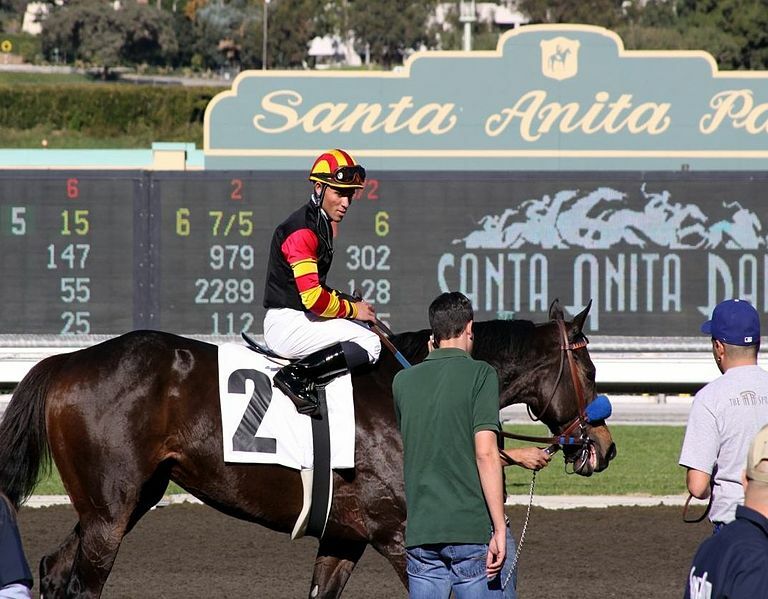 As a rule, we universally want to follow through with final wishes so perhaps we ought to send our benefactors off on a quest, their very own “Message to Garcia” of sorts. Perhaps their quest is an ancestral scavenger hunt or quest to confront a fear. Imagine receiving a message from beyond the grave, where someone who cared about you, shared some bit of personal life experience that could not be said in person. These messages are healing to friends and relatives who might also be inspired to repeat the favor to their forebears as well. The funeral home is a logical place to store such materials to ensure that they can and will be found BEFORE the funeral. It serves no one to have these materials stored in the back of a dark closet or secret bank safety deposit box, where they are generally found long after the funeral. Please share your thoughts on writing an Ethical Will. How will you document your legacy to your family? What special instructions will you leave? A beautiful song for funerals is “Las Golondrinas”, also referred to as “La Golondrina”, (which translates to "The Swallow"). According to an article on “Fugots” Wordpress blog, “La Golondrina” “is a sad and beautiful traditional song from Mexico based on this symbolism… it is a song of empathy for the poor swallow who can no longer go home, or has no more home to return to.” An article on blogspot by “Popculture-Alcatraz” notes, “this song is used in Mexico to show sadness in the finish of a project, in a good bye or in the end of a project." It's also used in funerals. The swallow’s ascent symbolizes the spirit of the person rising up towards heaven. The song is meant to comfort the bereaved when played at funerals. Many other artists have recorded “La Golondrina”. A simple search on AllMusic.com turns up 910 results for “Las Golondrinas” in songs. Many well-known singers/musicians have performed the song including: Nat King Cole, Placido Domingo, Slim Whitman, Perez Prado, Bob Wills, Xavier Cugat, Hank Williams, Vicente Fernandez, and Chet Atkins. Pedro Infante was born in Mexico on November 18, 1917 and died on April 15, 1957. 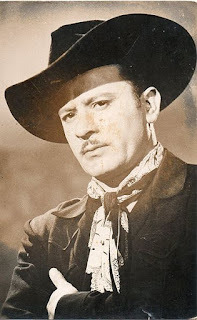 He was “one of the most famous actors and singers of the Golden Age of Mexican cinema and is an idol of the Latin American people” says Wikipedia. Wikipedia notes: he appeared in over 60 films and recorded over 350 songs, of which, “waltzes, cha-cha-chas, rancheras and boleros placed him among the most popular singers of the mariachi and ranchera music”. Some of his most famous songs are “Amorcito Corazon”; “Te Quiero Asi”; “Corazon”; and “Mi Carinito” which he sang so frequently to his on-screen film “grandmother” Sara Garcia that the song was played at her funeral. I first heard “Las Golondrinas” sung by Pedro Infante when I was looking into traditional Mexican music often played at funerals. The Mariachi music sounds quite graceful behind Pedro Infante’s vocals. The song has a warmth and comforting quality to it. It may be designed to help the bereaved to let go, and accept the loss. Some songs are designed to evoke emotion to help people express their feelings, and “Las Golondrinas” has that quality. Please share your thoughts on Pedro Infante's song, "Las Golondrinas". Have you found other songs comforting during a time of grief? What other songs would you share with someone who has lost a loved one? A wonderful example of the Living Funeral is the tradition of the Lakota Sioux people of South Dakota. They accept death as part of the natural order of life. They identify more with their consciousness and allow themselves to disengage from their bodies. They see life’s journey as its end goal, and appreciate that life is always on the edge of death. 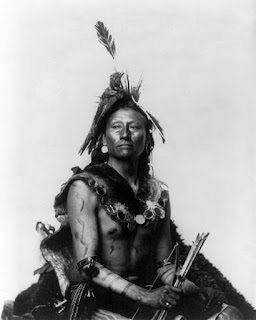 Prior to death, the Lakota Sioux make sure to forgive. They ease tensions by making amends. They release loved ones from feelings of guilt for acts they may have committed against them. They make a point to accept each others faults and thoughtfully collect their precious family heirlooms to distribute to their family members. The gifts passed on to decedents are meant to be passed on down the line each generation. Thus, each member becomes a caretaker of the family heirlooms rather than the singular owner. As one approaches death, one of their folkways requires that traditional foods be eaten as part of purifying oneself for death. This is the time for handing down family recipes. At the time of death, family, friends, and neighbors will all crowd into the critical care unit hospital room (which can be difficult.) It is their tradition to show respect and appreciation for their relationship by being at bedside to say farewell. Once all are there, the dying person lets go. They believe death is but a transitional period, and that their energy is released into the world to become once again part of nature. The year following the death is a trial period for the family. The bereaved must strive toward exemplary behavior. They will avoid controversy, jealousy, anger, and licentiousness at all costs because it is believed that one's true character emerges at the time of grief. Throughout the year, the family will also prepare for the death anniversary party by collecting items and money. The death anniversary party is partly a memorial service and partly a tribute to the individuals who showed kindness to the departed loved one and the family. The guest of honor (this might be the best friend of the deceased), will carry a picture of the deceased to show it to all who attend. After a memorial service, the atmosphere changes, and the event becomes festive and joyful. Attendees will share a meal as they share happy memories and stories about the deceased. At the end of the party, attendees are honored by gifts - former belongings of the deceased's. Please share your thoughts on the Lakota Sioux tradition. What did you find to be most helpful? What personal family traditions do you feel are helpful or healing? Home burial is legal in some states and counties. The number of backyard burials is increasing, and has done so dramatically over the past 5 years. The Funeral Consumer’s Alliance reports that only two companies aided families holding home funerals in 2002, but now there are at least 45 companies. Regarding Home Burial, most counties ask for a certain acreage amount, a distance of at least 150’ from a water supply, and at least two feet of earth on top. Before burial, the person in charge must sign the burial-transit permit and return it within 10 days to the registration of the county in which the death occurred. The practice is generally discouraged because of the potential affect on the property value. Because the practice is not common yet, society is still uncomfortable with it. Neighbors might find it disturbing to watch someone bring a body home, hold a funeral in their home, and then bury the body in their yard. However, a number of planned “Green Burial Preserves” are currently in development throughout the country to fulfill the demand for natural burials. Please share your thoughts on home burials. Have you helped conduct a home burial or known someone with a private property cemetery? What advice can you share with others? Many people do not know is that it is legal for them to take their loved ones home (in their own car) and to keep them (if cooled) for a number of days. Currently home funerals are legal in 45 states. Many people do not realize that embalming is not mandatory. Legally, you can take your own deceased loved one home with you as long as you get the proper permit for transporting, and follow approved procedures for cooling, and length of time before burial. Home funerals offer a more humane and healing alternative to the usual American custom of giving your loved one's body to a professional who will take full charge of the body for you. Individuals have the legal right to care for their own at death. They can file the death certificate and file obituaries with the local newspapers. The most important benefits of Home Funeral to the bereaved are psychological. The healing and acceptance of death is easier for the family when they are able to touch, see and spend time with their lost loved one. Even in states where a funeral director is required, home funerals are far less expensive. An average American funeral costs more than $6,000. The home funeral version can cost a lot less. Please share your thoughts on home funerals. *Have you helped conduct a home funeral? What advice can you share with others? *Would you take part in a home funeral? Why or why not? When a person dies, the world seems to continue right along as though nothing has happened, and to the bereaved this experience can be extremely isolating. The funeral custom provides a social function where friends and family of the bereaved can gather to offer support. 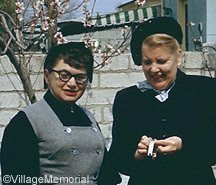 "The funeral service has the effect of drawing a social support network close to the bereaved family shortly after the loss has occurred, and this kind of social support can be extremely helpful in the facilitation of grief".² The social support provided during the funeral rite, can provide encouragement to the bereaved in considering the adjustment to living without the lost loved one. We want our presence to be missed, our deaths to be mourned, and for life to have meaning. It explains why we host funerals and grand memorials. We yearn to be remembered. Our lives must have had held some meaning. Attending a funeral reminds us that we will someday merit the same honor, respect, and display of affection. Please share your thoughts on supporting a friend or loved one who is grieving. What did you find to be most helpful? What advice can you share with others? "True healing can not take place without the journey through the grieving process"¹. An important role of a funeral is to facilitate grief. "If [the funeral] is done well, [it] can be an important adjunct in aiding and abetting the healthy resolution of grief"². As our culture is "largely death-denying and death-defying"¹, making the loss real to the bereaved is a very important task of mourning. Accepting the reality of the loss is the very first task of mourning to be achieved. "There is always a sense that it hasn’t happened"². Perhaps we find it easier to deny the death, and to believe it has not happened, but the funeral provides a place in which this denial can be directly addressed. People must "come full face with the reality that the person is dead and will not return".² By seeing the body of a lost loved one, it helps "bring home the reality and finality of death"² to us. The funeral practice provides a setting in which viewing the deceased is appropriate, acceptable and healing. Please share your thoughts on funerals and or viewings. How do you feel they aid the bereaved survivors? What else do you think is helpful to survivors in accepting such a loss? Living funerals are gatherings that are centered around those who have been diagnosed with an incurable illness or simply those individuals who feel they would like to celebrate their many years of life while they can plan the event and enjoy it. A living funeral can range from a formal tribute to a “roast” type of atmosphere. A living funeral can be a meaningful experience that benefits the psychological state of the person passing and his or her loved ones. Sometimes, the living funeral can serve the business purpose of reading the will and the reasoning behind it. A living funeral can also serve the purpose of the reading of the ethical will, or will that states what the person dying wishes for his family members. Under these circumstances, the family can arrange a “Funeral Reunion” or ‘Funeral Party” for their loved ones to attend prior to death becoming imminent. Similar to the wedding reception tradition, it is best planned by the family themselves. When planning traditional funerals, families are often pressured to keep their funeral events brief, but with living funerals, there is no need to be concise - after all when one has gathered the entire family together one should allow plenty of time for quality time - stories, discussions, meals, and sharing. Some living funeral gatherings can be joyous, extensive 4-day weekends to exotic destinations or resorts, lighthearted family reunions, or quaint picnics with those closest to one who is departing. National parks and eco destinations are gaining ground as locations for end-of-life ceremonies, satisfying the needs of the contemporary family. One year ahead - Start a mailing list, Send postcards surveying family members about possible dates. Determine the interests of family through email correspondence. Get confirmation about who can help with event tasks. Begin developing a rough budget, Lastly begin scouting locations for the event. 9 months ahead - Set date, Choose location, Hire entertainment, caterer, photographer, videographer, printer, Locate missing family members, Scout out possible reunion sites. 6 months ahead - Reminder announcements, Schedule events and activities program, contract musicians, decide on speakers, ceremony officiants, tours, reserve hotel/travel accommodations for attendees. Begin collecting souvenirs, confirm reservations entertainment, photographers, catering, Reserve any rental equipment needed. (i.e. audio video equipment) Set budgets and collect fees. Scout out potential lodging for out of towners. Plan activities and prepare entertainment schedule. 3 months ahead - Announce event with local news and media to notify friends and acquaintances who may have been overlooked in your invitations list. Interview prospective entertainers and book favorites. Mail final invitations and log RSVPs. 6 weeks before - Create checklist of party tasks, designate assignments for volunteers. Make lodging arrangements for out-of-town relatives. Plan menu if there is going to be catering or plan out pot luck items. Begin gathering family memorabilia. Assemble family-history information to bring to reunion including bios and lineage charts. 2 weeks before - Solve last minute problems, Review final details, Decide what is needed to be borrowed or rented. Purchase decorations and arrangements. Last few days - Begin set up of tables, collect rental items, equipment, and displays, decorate. Delegate responsibilities to volunteers. Purchase grocery items and prepare last-minute foods. Day after - Make sure everyone gets back home or one their planes. Reflect and evaluate what worked and what didn’t. Return rental items, cleanup. Over the following month - Write your thank you cards and begin sorting and copying of digital media recorded of the event for sharing. Start planning the next event soon while warm memories of the event are still fresh in everyone’s mind. Recover and return all keepsakes, mementos, souvenirs, memory books, photos. Have you ever attended or organized a living funeral? If so, please share anything helpful. What advice would you give others to help them plan a living tribute? You may have heard the song “I Can’t See New York” by Tori Amos. The song is the 12th track from “Scarlet’s Walk” album, which was released in 2002. “Scarlet’s Walk” debuted at “US #7, selling 107,000 copies in its first week and reaching RIAA Gold status about a month after its release” according to Wikipedia. “I Can’t See New York” is a very emotional remembrance of September 11th. When chorus 2 states “But I can't see New York, As I'm circling down, through white cloud, falling out”, one can imagine all those people who jumped from the World Trade Towers through the smoke. When chorus 1 states “and you said, you would find me here, and you said, you would find me, even in Death” one can imagine all those who died in 9-11, many of whom were never found. The song does a remarkable job of capturing some of the most horrifying events that unfolded on September 11th, in a most respectful, beautiful and moving way. Please share your memories of September 11th or visiting the World Trade Towers. What do you think of Tori Amos's song? Have you heard other songs that memorialize the events of September 11th in a moving way?